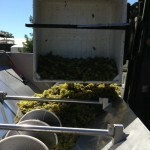 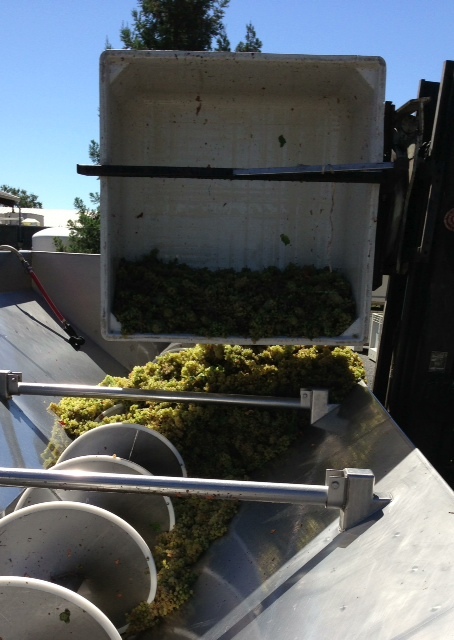 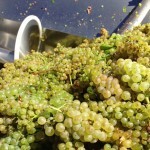 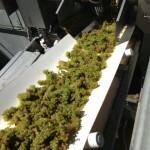 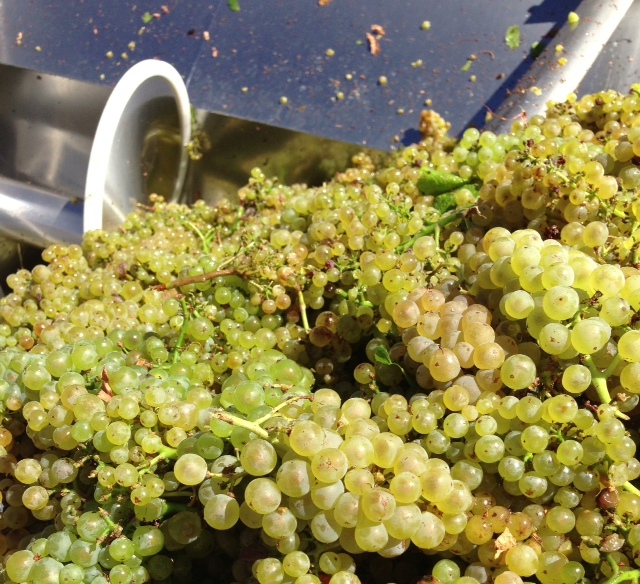 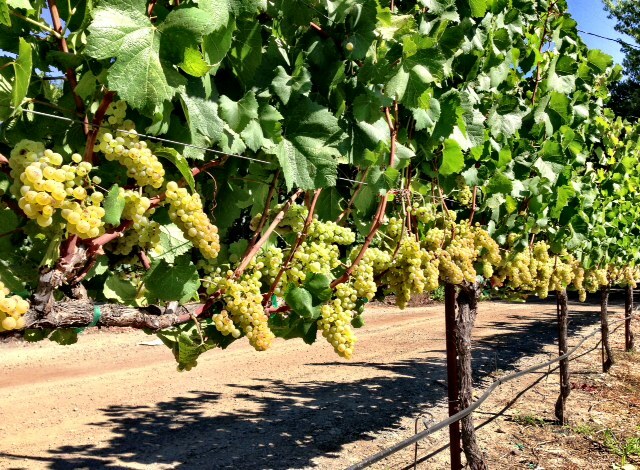 This week we dove into our Chardonnay…harvesting it for Kendall Jackson. 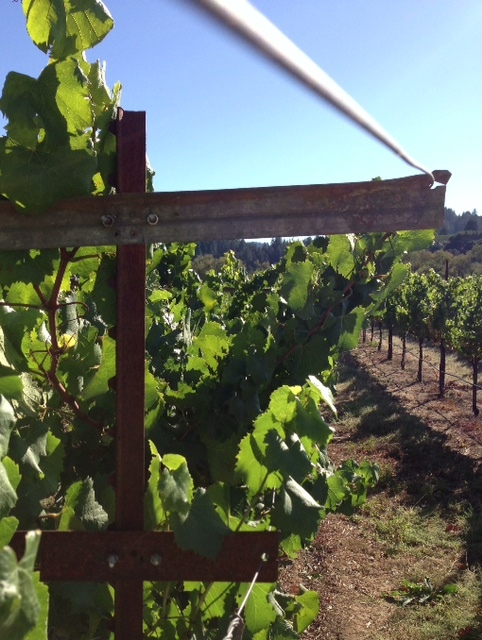 I really love the modifications that we made to our VSP trellis system…we added a high 24″ crossarm to create a “V” effect in the upper canopy…allowing the shoots to slightly spread out close to the cordon next to their spur position…and really spread out at the top! 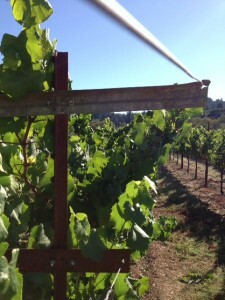 With our row orientation…SW by NE…it provides nice morning sun exposure while providing afternoon shade. 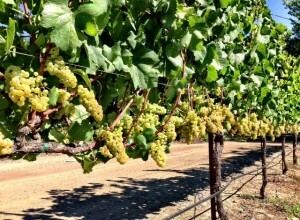 But the most important effect is the way that the clusters have some room to spread out close to the cordon. 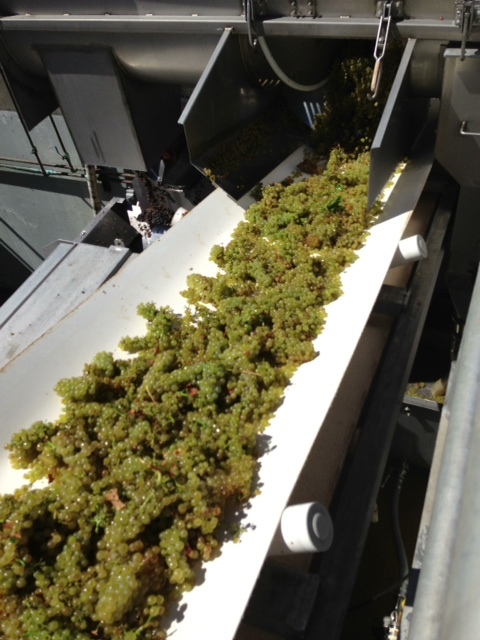 Hopefully, you can see in the picture that most clusters are not touching each other…which allows better airflow and helps prevent fungal infections!